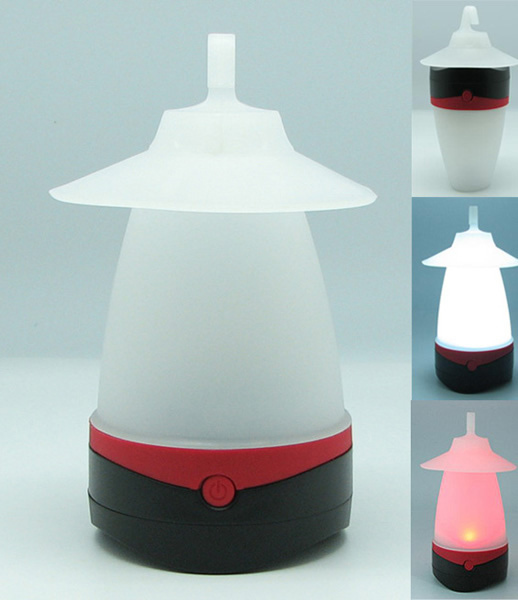 This item can be used as camping light or desk light. Made of 0.5W LED bulb and 4pcs AA batteries. Can lasts 60 hours for white ligth, 120 hours for red light. Light up 2 meters around.